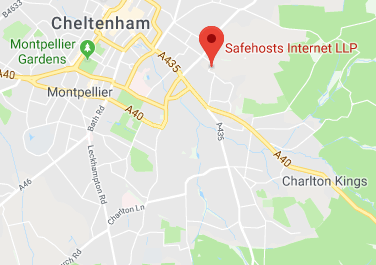 Safehosts operate a modern efficient low PuE Datacentre conveniently located if you're in the South West, West Midlands and Wales. 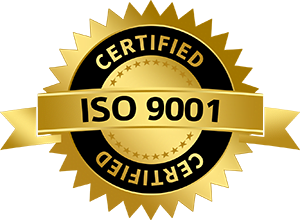 If you are further afield, then we're happy to provide a full management and installation service, which will be a convenient way of avoiding the high costs associated with hosting in London or the South East - and make things easy if you need colocation in England but are located abroad. Our experienced support team will ensure maximum uptime. On our website you can find out about the services we offer, and get a quick quote for hosting in Cheltenham, Managed Services, and Leased Lines on our National MPLS Network, which includes London, Birmingham and Manchester. 11,000 Volt, diversely fed ring main supply. Reserved network capacity of 4 Megawatts. Concurrently maintainable LV power grid. Multiple redundant components. Castell interlocked bypass and full rated bus couplers. On site 24/7/365 M&E support. 20-minute run time at full load. Optional B feed from physically separated UPS system. On site diesel generation, 2N (backing both sides of the power grid). Fuel supply on site for 48 hours @ 100% load, backed by a 4-hour priority fuel contract. Quarterly load bank testing & fuel polishing regime. Juniper MX core network 1G/10G/100G ready, MPLS enabled (THN), (SOV). BGP upstream connectivity with multiple Tier 1 carriers. 1.5Tbit/s maximum core fabric performance, dual homed, (THN), (SOV). Diversely connected to Safe Hosts core network aggregation sites via Dark Fibre. Route and Carrier diverse DWDM fibre between (THN) & (SOV). Dark Fibre/ DWDM access to all major Docklands Data Centres. Sub 4.5ms round trip latency between (SAX) and (THN). (SAX) is on net for: Safe Hosts Internet, SSE, Vodafone, Virgin, BT Open reach. AS59816 (Safe Hosts Internet LLP) house network available at all locations. Multiple 10Gbit connections to Tier one carrier mix. 600mm raised floor void, 42mm Heavy Duty, PSA rated floor structure. 42/47U racks, alternatives available on request. Custom designed cold containment and air distribution. Maximum power density 16kW per rack. Bespoke private suites, rack configurations and rack densities available on request. Data floors temperature controlled using hybrid DX/ free air systems. Energy efficient adiabatic cooling system to minimise our carbon footprint. Minimum N+1 redundancy on all cooling plant. Addressable, multi-zoned optical, smoke and heat detection systems. Dual zone VESDA in each colocation area. Low pressure FM200 gaseous fire suppression in all critical power areas. High pressure IG55 gaseous fire suppression in the data floors. Our Cheltenham Data Centre benefits from a full perimeter fence, CCTV which is monitored 24/7, and a fully ISMS certified access control system. Full rack customers have lockable rack doors. Data floors and Power rooms have a gas based fire suppression system using a VESDA early warning system. Regular physical security patrols ensure security from the perimeter fence all the way to the individual racks. Option to have visitors accompanied by one of our staff whilst on site, if required.